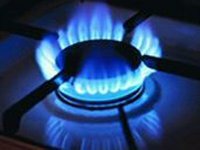 Naftogaz Ukrainy and Russia's Gazprom have signed a supplement to the Russian-Ukrainian gas contract, setting the price of natural gas for Ukraine in the first quarter of 2014 at $268.5 per 1,000 cubic meters, Ukrainian Energy and Coal Industry Ministry Eduard Stavytsky has said. "Yes, the document has been signed. The coefficient is based on $268.5 per 1,000 cubic meters," he told journalists in Kyiv on Thursday.